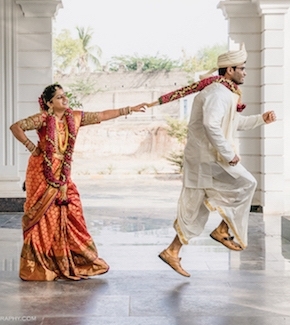 “Big fat Indian weddings” a notion common to us Indians. 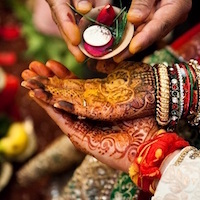 Every wedding is grander than the previous one but this article brings to you some of the most expensive Indian weddings that do full justice to this phrase. The double wedding of Sahara chief Subrata Roy’s sons took place in The Sahara Shaher in Lucknow, dresses designed by Rohit Bal and Sabyasachi Mukherjee along with 110 type of dishes from across the world made it a grand affair. Amitabh Bachchan, Aishwarya Rai Bachchan, Anil Ambani and many other celebrities were present at the occasion. Laksmi Mittal’s niece tied the knot with investment banker Gulraj Behl at the National Museum of Catalan Art atop a hill in Barcelona. The food was supervised by Michelin star chef, Sergi Arola who worked with a team of 200 chefs and butlers. A 60 kg wedding cake along with hovering helicopters capturing photographs were the main highlights of one of the most expensive Indian weddings. The Mittal’s have a knack for exuberance, Lakshmi Mittal’s daughter married Amit Bhatia in an ostentatious wedding that took place in Paris, a six-day affair, starting with the Sangeet. Singing performance by Kylie Minogue, dances choreographed by Farah Khan and a spoof on the Mittal’s by Bollywood actors Shahrukh Khan, Juhi Chawla, Rani Mukherjee & Saif Ali Khan were the entertainment factors. The engagement ceremony at the Palace of Versailles is the only private function to be held there. Congress Leader, Kanwar Singh Tanwar’s son, Lalit Tanwar tied the knot with former independent MLA, Sukhbir Singh Jaunapuria’s daughter, Yogita Jaunapuria.The Bell 429 chopper gifted to the groom was the highlight of the wedding. The wedding took place in Jaunapur village, Haryana while the reception witnessed performances by singer Gurdas Maan and Bollywood actress, Neha Dhupia. The nuptial bond between the chairman of Gulf Oil International, Sanjay with well-known fashion designer Anusuya Mahtani was a grand affair. 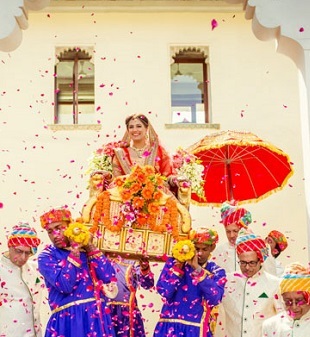 The Sangeet ceremony saw performances by Arjun Kapoor, Ranveer Singh, and Nicole Scherzinger.The main event of the actual wedding day was a performance by Jennifer Lopez.The wedding took place at the Jagmandir Island Palace. UK-based billionaire, Pramod Agarwal gave away his daughter Vineeta Agarwal in a Venetian Wedding. 17 acre of San Clemente Island was the venue for the 3-day celebration. Italian Michelin star chef, Federico Salza was roped in for a special Italian spread. Performance by Shakira was highly appreciated. Another feather to the most expensive Indian weddings, GVK Krishna Reddy of GVK Group married his daughter to Indu group scion, Siddharth Indukuri. Chandeliers made of real jasmine. red and gold mandap and the most exquisite designer wear were under one roof at this wedding. Attended by Amitabh Bachchan, the wedding was a hit on the social media. Payal Bansal, daughter of Real estate developer Basant Bansal had a beautiful wedding in Turkey. There were performances of Bollywood celebs like Celina Jaitley and Isha Koppikar. 30 cooks and 130 assistants were flown to Turkey for authentic Indian cuisine. Even the decorators were taken all the way from India. Vikram Chatwal, the American hotelier’s wedding to Priya Sachdev, model-actor and former investment banker was a flamboyant event. The guest list included people right from King Khan, Lakshmi Mittal to Prince Nicolas of Greece and the son of the late Shah of Iran, all of who were flown in by private chartered jets. Gaurav Assomull, the CEO of Marigold Group, and Kajal Fabiani’s wedding was held in Monaco.The celebration took place over four days in various luxury hotels.Elephants for the baraat, Akon’s concert, laser show, J J Valaha designed dresses and a four-course dinner impressed the guests. Though our tycoons and leaders know how to spend money it would have been appreciated if they would have donated a part of this amount instead. 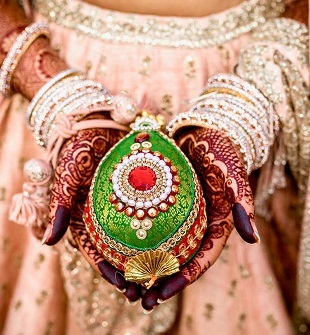 But to each, its own these most expensive Indian weddings were surely the talk of the town.